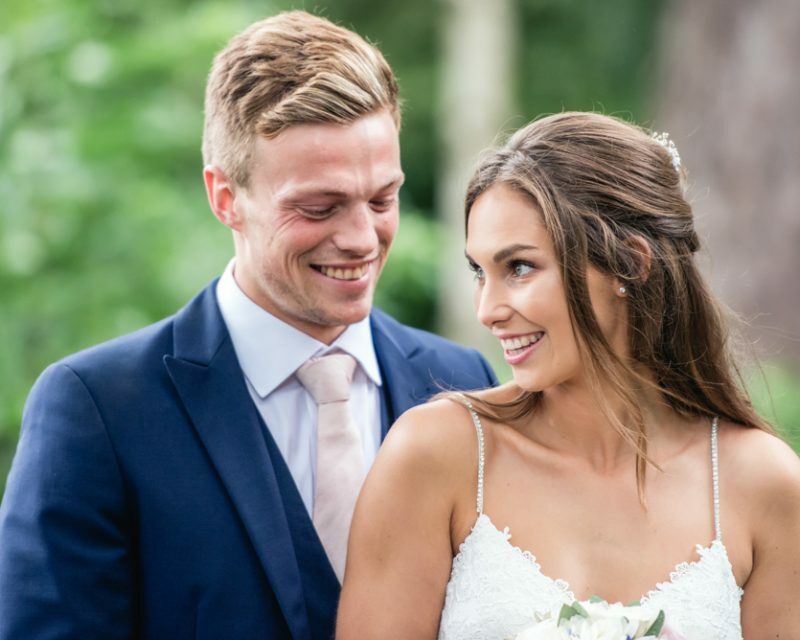 Emily and Tom eloped at Clock Barn, a beautiful rustic building in the heart of the Hampshire countryside. The bride and her bridesmaids got ready in the spacious bridal suite at the venue. The bridesmaids wore pretty pastel gowns alongside ivory and lilac bouquets which coordinated perfectly with the groomsmen’s mint green ties and pocket squares. Emily looked absolutely stunning in her floor length, strapless lace gown. The barn was adorned with bunting, fairy lights and mason jars filled with pretty floral arrangements. The ceremony followed with funny and heartfelt readings from the bride and grooms mums. Morning cloud had been replaced by bright Spring sunshine and the guests congregated in the garden to throw confetti. Clock Barn has so many great spots for photos. 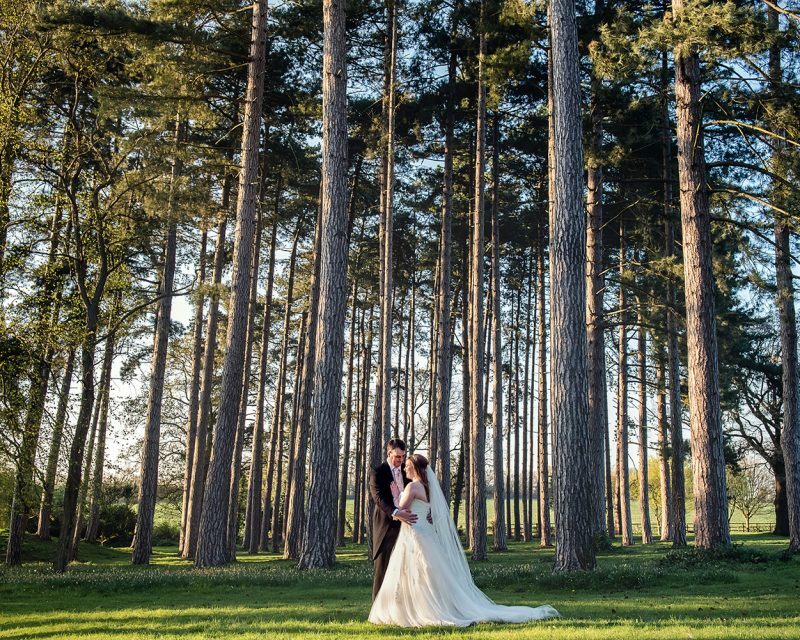 It’s surrounded by rustic barns and vast stretches of farmland, we were spoilt for choice! 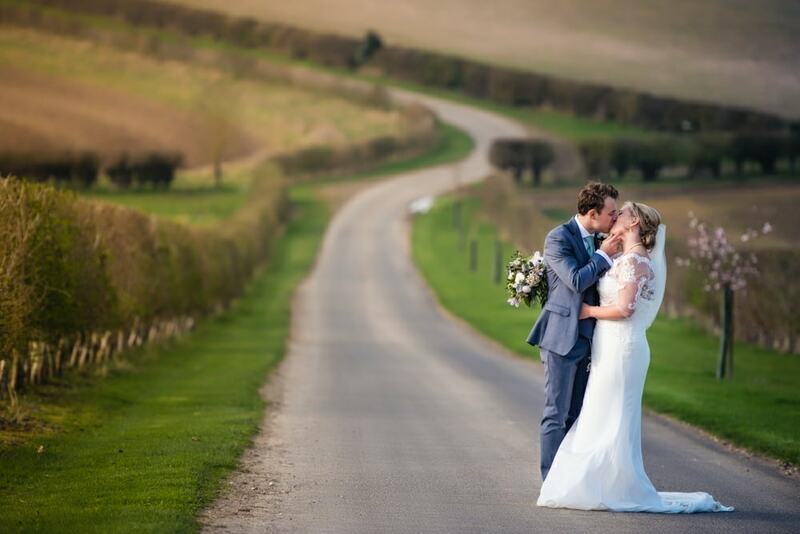 A fantastic feature is the long driveway which takes you through the beautiful countryside…the perfect backdrop for some couple pictures. Galloping Gourmet provided a delicious three course meal for the guests and some hilarious speeches followed. The best man had even put together a ‘Reader’s Digest’ for the guests to browse titled ‘Planning for a Life With Tom’. A beautiful day turned into a fun filled evening with lots of dancing, laughter…and Prosecco! It’s always exciting to discover new venues and this one certainly had the wow factor! Emily and Tom, you were a delight to photograph and thank you both for asking me to capture your big day.